This is the single bed version of my conversion of Pampered Pedro double bed found HERE. Both the bedding and the frame have been repository linked. 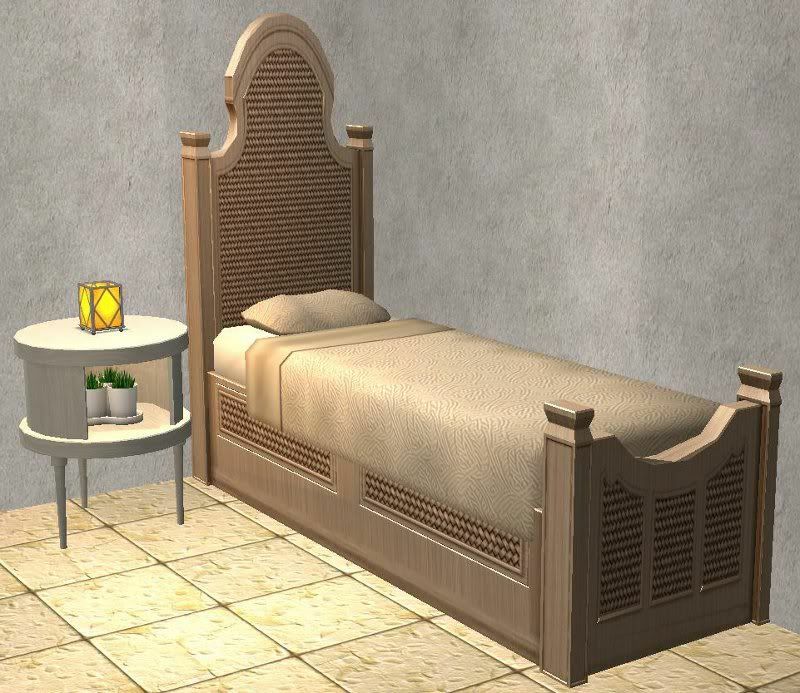 The bedding to Maxis, so all Maxis and custom bedding will show in this, and the frame to the original Pedro bed, so any recolors of the Pedro double bed you have in your downloads folder will show up in this too, including this one by Michelle. Since it's repository linked, it is not recolorable, you must recolor the original Pampered Pedro bed found HERE, for recolors to show up. Enjoy! 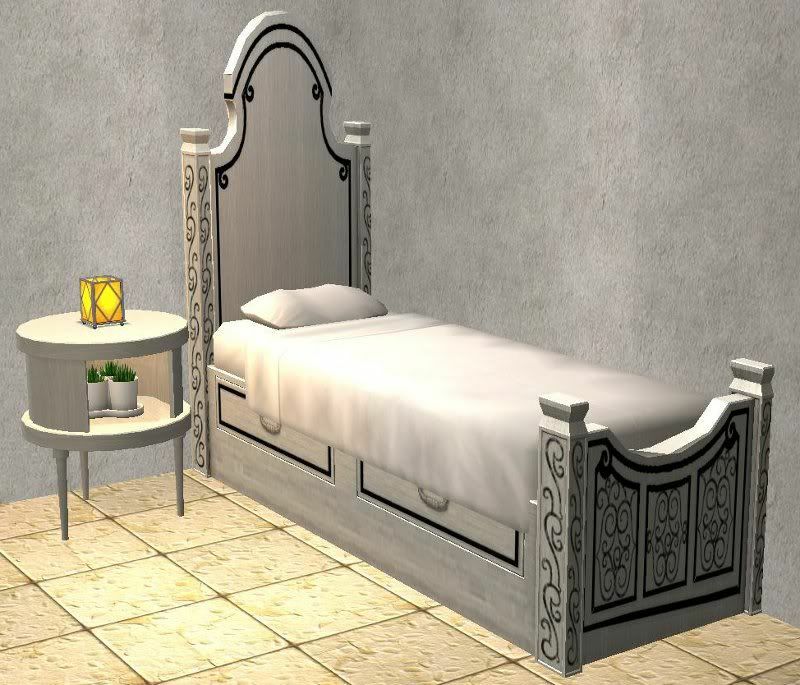 ETA: You can find some beautiful recolours of theis bed by Takart HERE and recolours by Michelle HERE and HERE. was wondering if you would please finished convert this whole set please and thank you. Anon #1 - No I can't convert for Sims 3 because I don't know how to make beds for The Sims 3. Anon #2 - Keep your eyes peeled, I will make conversions along the way, I may include some from this set. I was wondering if could possible ask someone else to convert this for me. Anon #3, so sorry for the late reply, I was away for a long time then just saw this today. My policy states that any of my things can be converted for Sims 3, so yes you can ask someone to convert to Sims 3. I'd be interested to see how it turns out in Sims 3, and maybe download it myself.